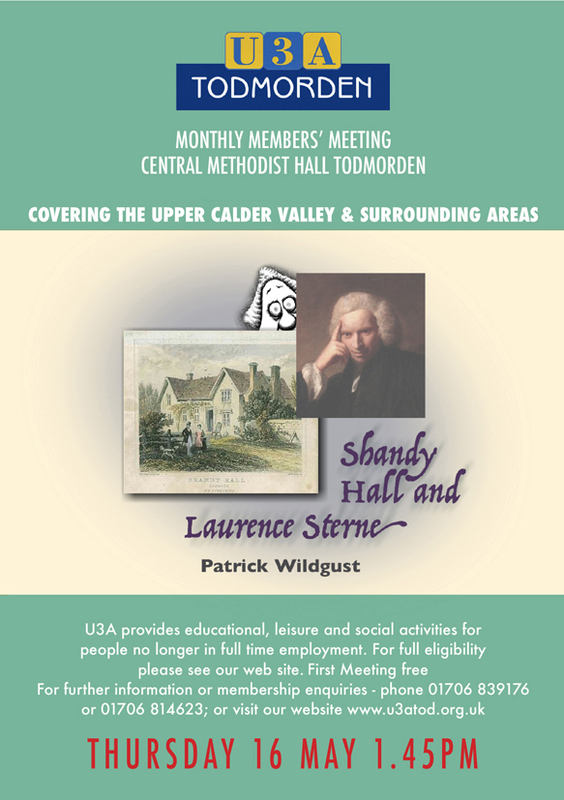 The membership of U3A Todmorden continues to grow to amazing levels. On the day of September’s meeting the earlier coffee morning attracted over 100 current members – and potential new recruits – to find out what all the special interest groups do, and share a friendly tale or two. As soon as a new idea like Social History becomes reality, it’s full of members. From art and badminton to philosophy and world affairs, small groups are meeting all over Todmorden with members coming from as far afield as – well, as Hebden Bridge. Of course it’s partly the quality of the regular monthly speakers that keeps drawing people. 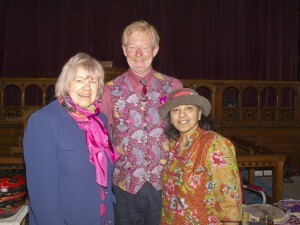 September’s meeting at the Central Methodists on the 19th attracted a record 132 people to hear Chandra Law, helped by her husband Richard, talk about ‘Coming to Britain’. On arriving in Britain and leaving the airport, Chandra told us, the cold literally hurt. She couldn’t walk properly and thought she was turning into a prawn: why did these English people have air-conditioning in the outside world? Why did rows and rows of trees have no leaves on them, was the whole place dying? Or did the English grow their trees upside down, was it their bare roots she was seeing through steamed-up windows? In the Post Office that February to send her postcards about weird old England home to her family, Chandra tried to give up her place in the queue to an elderly gentleman – as you would in her native country – and was politely refused. It was the gentleman’s wife who explained that the white bullets falling outside weren’t free sago, collectible to make something nicely Malaysian for tea, but hailstones. Among these reminiscences Chandra wove a well-designed account of how to create Malaysian batik (which Richard created beside her while she spoke). Batik-making is compulsory in Malaysian schools from the age of 14, when pupils are thought old enough to handle hot wax, which is what the word ‘batik’ means. An attentive audience of Todmordians transformed ourselves into Malaysian schoolgirls and schoolboys – the girls forever fearing the teacher’s cane on their hands or legs if they made a mistake – as we were taught the process. Spread white cotton or silk on the floor. Heat wax (paraffin wax mixed with 50% resin in Malaysia) in a pot. Take a tjanting, pronounced ‘chanting’, a tool with a wooden handle that can apply wax. Learn how to carry the tjanting from pot to cloth, fast enough to avoid the wax solidifying, slow enough to avoid dripping, nimbly enough to avoid the ever-feared cane. On cotton the tjanting is a ready-designed block, easy to correct with water; on silk it’s a delicate equivalent to a paint-brush, and one error and the ruthless teacher will tear your silk in half because your work is spoiled. Boys, it seems, get to work on bamboo, metal and wood. But girls are the batik specialists. Traditionally they create using themed colours. Bold reds and pinks apparently mean mountains; blue, fishing villages; green, paddy fields, black/brown/gold mean rubber plantations; purple means turtle islands; and silver stands for Kuala Lumpur. Get over the border to Ramsbottom Station to see Chandra’s and Richard’s work, from lipstick cases to sarongs (steady, men, it seems we can wear them too). It was hard to hear new Chairman Jean Pearson’s effusive thanks afterwards amid the throng of people eager to see batik at first hand.